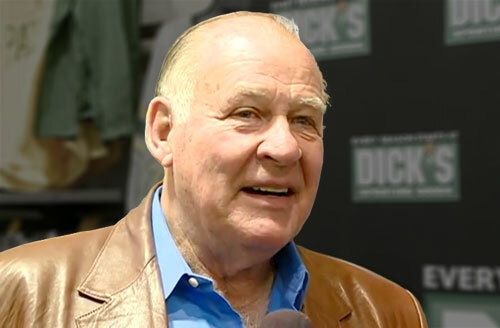 Jerry Kramer is a former NFL offensive guard who played for the Green Bay Packers from 1958–1968. Kramer played football before and at the beginning of the era of the Super Bowl. He is a five-time NFL champion for 1961, 1962, 1965–1967 plus he is a two-time Super Bowl champion for Super Bowls I and II. This was the era when the Green Bay Packers, under the leadership of Vince Lombardi, dominated professional football and defeated the Dallas Cowboys two years running in Super Bowls I and II for the 1966 and 1967 seasons. Kramer was inducted into the Green Bay Packers Hall of Fame in 1975. Sports Speakers 360 is a booking agent for pro athletes. If you would like to book Jerry Kramer for a speaking engagement, appearance or endorsement, contact a Jerry Kramer booking agent for fees at 1.855.303.5450.